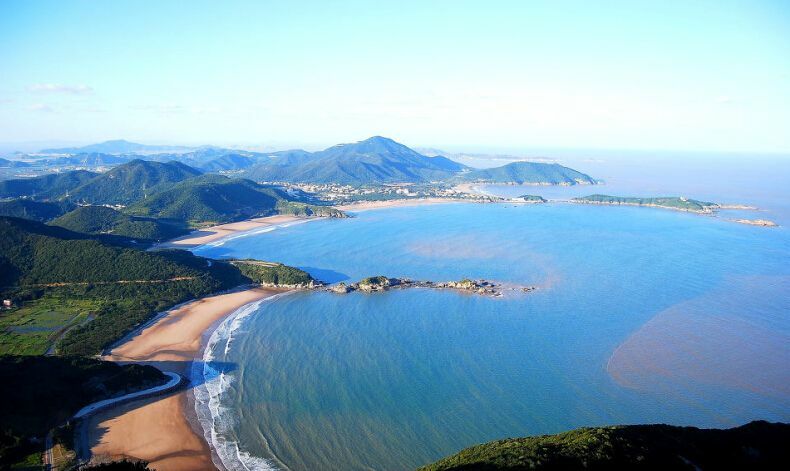 Tawanjinsha Sand Beach is the second largest beach in Zhoushan. Its sand is softer than that of Zhujiajian, making Tawanjinsha an ideal beach for sea bathing, sand baths and walking. What's more, it’s famous forits spectacular sunrises. The biggest of the seven sand beaches in Zhujiajian, it is located in the center of Shilijinsha scenic area. The beach is known for its pure and fine sand grain. Recreational facilities here include bathing, water slides, water and beach motorcycling, beach volleyball and water tricycling. Lisha Sand Beach, also called Aosha, is also known for the quality of its sand. It is flat with a gentle slope, suitable for sea bathing. On the shore, there is a Chinese pistache forest in which most of trees are more than 100 years old. The old branches stretch everywhere and block the sunlight, forming a spectacular scene. Dongsha Sand Beach is opens to tourists for free. The scenery here is more beautiful than that at Nansha beach. It is a hot place for photography, especially for weddings. Visitors should note that it is forbidden to swim here. The best times for photography are before 9: 00 am and after 3: 00 pm.